Forgetfulone: I Must be a Sucker! Most of us are familiar with direct selling companies such as Pampered Chef, PartyLite, Southern Living, and so on. When one of my friends hosts a show or party, I try to go. And I always order something, whether I go or not! But, every time I try to do a party or show, I can hardly get any orders! I did a 31 Gifts catalog party, and I only had one or two orders. Granted, they are slightly pricey. Right now, I'm really loving Scentsy, which is reasonably priced, so I'm doing a "basket" party. (I have a basket with products and fragrances, and I've offered to take it to my friends and let them see the catalog and smell the products). I am shocked by how many people just flat out won't order anything! Nothing! No reason. Just, "No." Not even a $6 item. I don't understand how they could not love this stuff (electric fragrance warmers, car fresheners, room spray)! And some of them simply won't respond to my message. Luckily, my out of town friends can order via the Internet from my Scentsy party and have the product sent directly to them. If a coworker or a friend is having a catalog or home party, I place an order! Does that make me a sucker? The same thing happened to me all the time, so I stopped doing parties. I hope you get plenty of orders this time! I always order from people too, luckily since I don't work anymore I don't get invited to quite as many. I hate when you go to someones & then they don't return the favor & come to yours... so annoying! 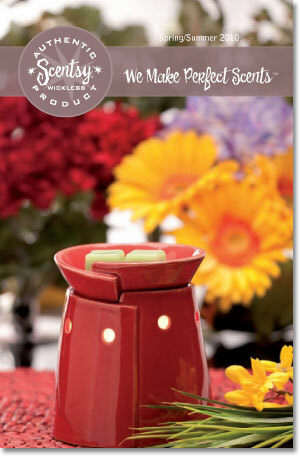 I have a stockpile of Scentsy stuff, I love it!!! Hope you have a good party! Then I'm a sucker too! I don't understand why people don't like the parties. It's friends, fun and shopping! And you are supporting a local business. i sell Dove Chocolate Discoveries; have you heard of that? in home chocolate tasting parties! YUMM!